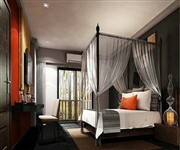 Want to find a new hotel in Chiang Mai, Thailand's popular northern city? See our list below of the latest hotel openings in the city, with all the best 5, 4 and 3 star accommodations that have recently come to the market. Located within the walls of the old city, this new 3/4 star hotel is beautifully designed in clay brick and terracotta and offers 33 guest rooms and an outdoor pool. 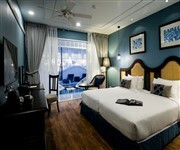 A new, modern 4 Star hotel with a good location on the edge of the old city, offering spacious accommodations. 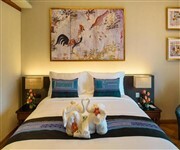 A new, good value 3 Star accommodation in Chiang Mai with a swimming pool. This newly renovated 4 Star hotel a couple of kilometres south of Chiang Mai city (formerly the Nakornping Palace Hotel) offers good value accommodation, a salt water pool, a coffee shop and co-working space. A new luxury hotel in Chiang Mai old town offering 43 guest rooms, an on-site restaurant, cafe, spa, swimming pool (with pool bar) and a fitness centre. 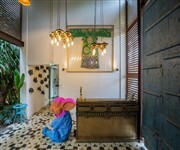 A recently opened new new boutique hotel in Chiang Mai, located a short distance from the centre of the city, along the banks of the Ping River. A new 4 Star hotel in Chiang Mai opened in mid 2018, located close to Chiang Mai Airport. This new luxury suites resort opened in mid 2018 and is located on the banks of the Ping River, about 15 - 20 minutes drive away from the city centre. A new good value 3 Star hotel in Chiang Mai opened in early 2018, located on Ratchaphakhinai Road inside the walls of the Old City. A new modern hotel located close to the Maya Shopping Mall, offering a total of 168 rooms and duplex suites (with direct pool access on the lower floor). The property features an outdoor pool, fitness center and an on-site restaurant. 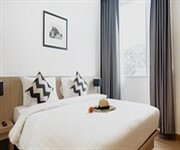 A new 4/5 Star hotel in Chiang Mai located a short distance away from the Old City, a short walk away from the Chiang Mai Zoo. The property features a rooftop swimming pool, on-site restaurant, cafe and a spa. A new hotel in the Old City of Chiang Mai opened at the end of 2017, offering an excellent location for visitors, with a range of beautifully decorated rooms and suites, as well as an on-site Spa. 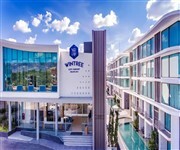 A new luxury resort hotel located in the centre of the Old City of Chiang Mai, opened in late 2017, offering a range of rooms and suites, with a swimming pool and fitness centre. This new deluxe hotel in Chiang Mai opened in late 2017 and is located along a quiet lane, in the heart of the city, offering good quality, elegant accommodation, with plenty of colonial charm. 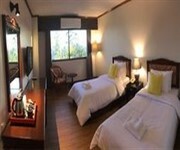 To find the best new Chiang Mai accommodation for 2019, please visit this page again.